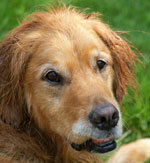 To keep your senior pets looking good and feeling great requires a little more attention than when it was younger. Our pets become senior pets after the age of eight, however over the past few decades the life expectancy of cats and dogs has been increasing. This is helped by a number of factors such as the availability of better nutrition, advances in veterinary medicine and preventative health care programs. Both cats and dogs tend to become less attentive to their own grooming and upkeep, so require a little more help from you. Commercial ‘mature’ diets offer great supportive benefits for our senior dogs and cats. High quality feline and canine mature diets cater for the nutritional needs of mature animals and provide the ultimate balance of protein, fats, vitamins and minerals. Many of these diets also help to optimize joint and oral health, as well as strengthening the immune system and aiding coat condition. To optimize your senior pet’s health, we recommend 12 monthly vet checks for your pet until the age of eight and then six monthly checks for pets after that. More frequent vet checks mean little health problems in your pet are more likely detected early before they become big problems. Just as with humans, osteoarthritis is a common disease in senior pets that can cause painful symptoms such as difficulty in getting up from a lay down position, stiffness or jerky movements, reduced playful behavior and lagging behind or limping when walking. Your senior pet need not endure the often painful symptoms of aging and regular health checks can assist in the early detection of common senior diseases like arthritis. Does One Dog Year Equal Seven Human Years? Should You Take Your Pet on Vacation? 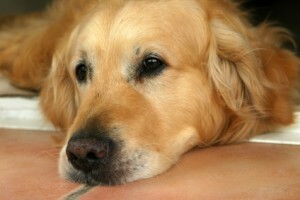 Why Does Your Dog’s Muzzle Go Grey? Copyright © 2017 The Ultimate Dog Bed Blog by Buddy Beds. Reproduction without explicit permission is prohibited. Proudly powered by Swift Theme .